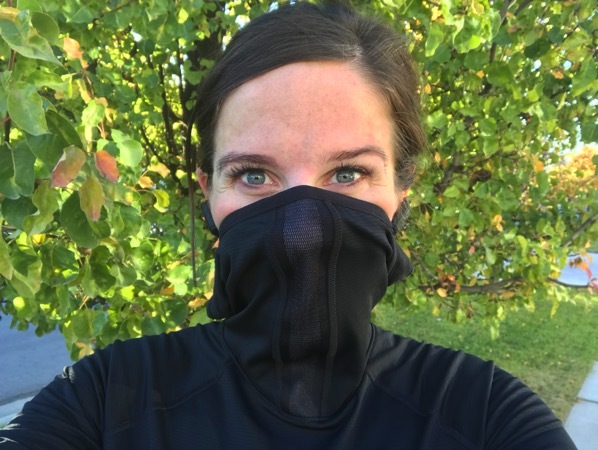 It was one of those mornings where my chin was frozen so I ran with my face covered for the miles I was outside (I did the first half on my treadmill). 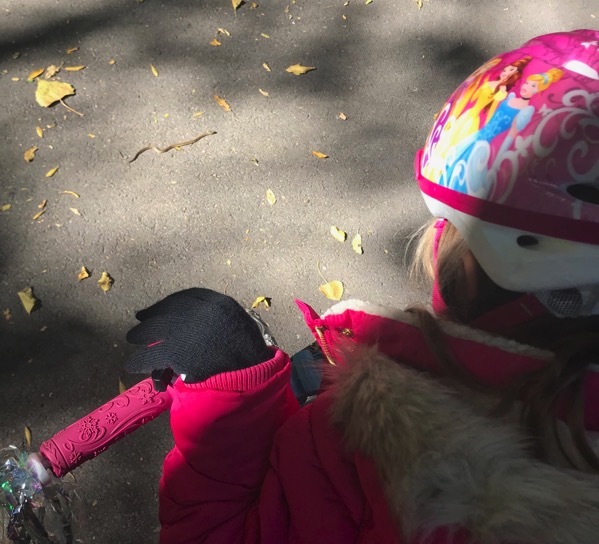 To go along with yesterday’s post about taking 6 weeks off… I’ll be missing out on my least favorite running weeks of the year (ice/frozen fingers/falling on the ice/more ice/snow—> I’ll gladly take my warm bed over that this year;). 6.5 miles @ 9:31 average pace! We got to have Knox Sunday night until Monday morning (we live really close to his mom so if she has something for work etc it is so easy to have him come over when she needs!) and Brooke was thrilled to have some extra time with him! And then we were off to school! My feelings about this craving—> 1 large jar is 1 serving. My purse is also full of those apple sauce packets so I can grab one at all times. 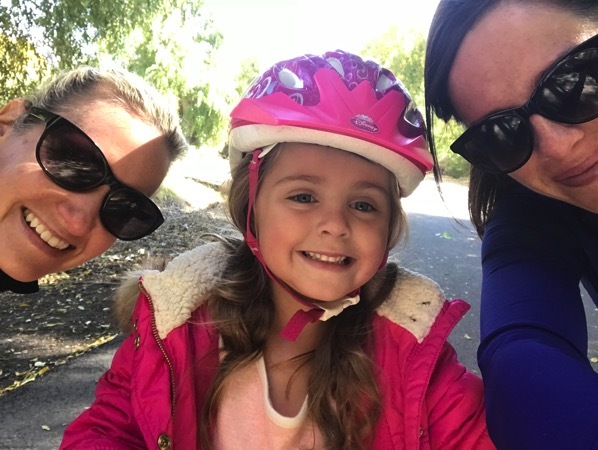 After school, we met up with Candice at a trail to walk while Brooke rode her bike. I do not run with people anymore (except for Andrew) because I like to just run for however long my body tells me to and not make the person with me stop 4 trillion times throughout the run. But walking, walking is perfect and an activity we all enjoy. Brooke saw her first snake (it was a snake even if it looks the size of a worm) ever on the trail while we were out. Fast forward many hours until the evening and Andrew and I went out for a date. Brooke hung out with my mom and we went to dinner. 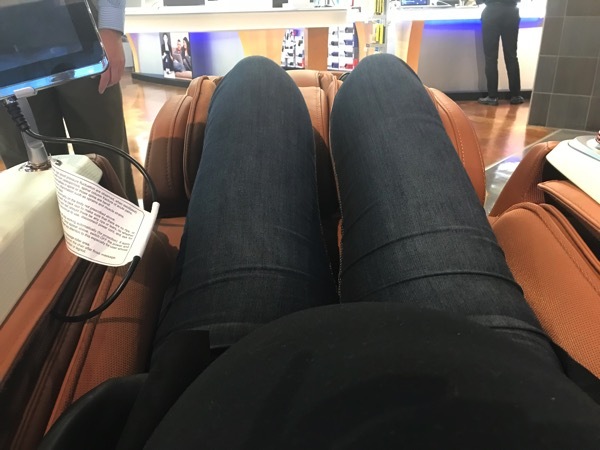 We then went to go look at some stoves (we party hard on our date nights) and found these massage chairs close by. I have the strongest desire to sell my car and buy one of these now. One of the things that has stuck for the last 7 years of blogging for me has been Tuesday Tangents. *This tweet is so completely true. As a teacher I can’t tell you how many times my packed lunch was gone during the time students went from 2nd period to 3rd period. And then during lunch time I would go to the lunchroom for another lunch. I actually ran into the lunch lady from the school I worked at the other day and we sat and talked for 30 minutes. It was so good to see her. She knew I loved her salad bar (she literally provided the best school lunches ever!) so she made a deal with me to work lunches with her for free salads. Best trade ever and we had a lot of fun together. How’s that for a tangent? *These do not look nearly as pretty as the recipe (this is also before drizzling caramel on top) but I made these for my family the other day and they are so good! 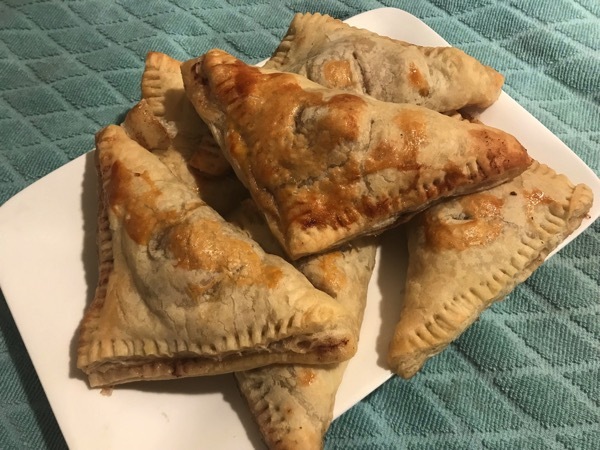 Caramel Apple Turnovers that are egg free (well, the recipe calls for brushing egg on the top right before baking but I didn’t put that on all of them so my dad could eat them)! They were delicious and super easy. *Each morning my mom sends her treadmill workout to me! She is like me and does part of her workout inside and then part outside when it is a little warmer. She kills it with her inclines too (5.5% incline for the last 15 minutes)! *I think she has been watching Andrew foam roll his back often because she has started doing it too. 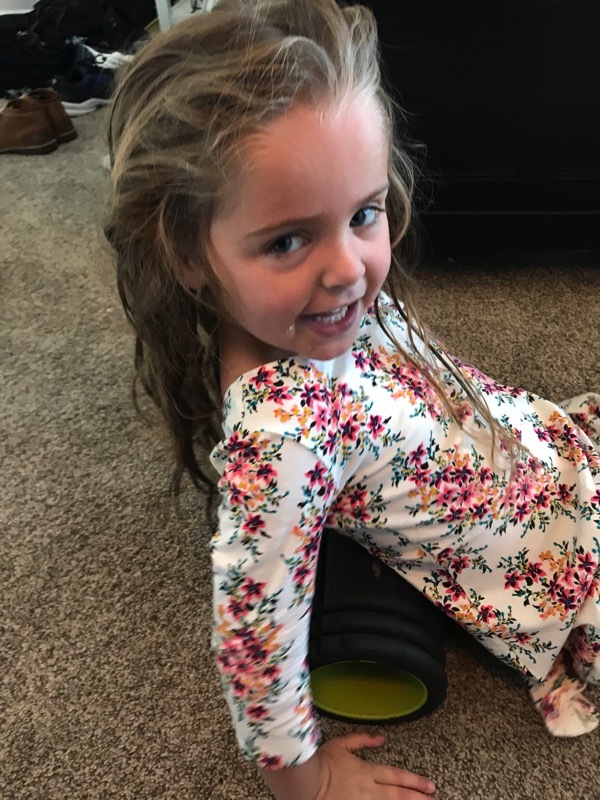 I wish I got into the habit of foam rolling when I was 5 too;)… Maybe then I would be better at remembering to do it more often. A question that I have gotten a lot over the years of treadmill loving (remember when I ran a marathon on a treadmill… Friends episodes got me through that) is how I do not die of boredom on the treadmill? I’m that weird person that actually really enjoys the treadmill and it has been a part of my training over the years. The treadmill was a big part of my single mama running, it saves me on the icy days and now with pregnant running again… I’m on it more and more! I thought I would share my tips in case with winter coming, you are on the treadmill more and more! PS I’ve been using the NordicTrack X22i Incline Trainer (I was provided the product and compensation in exchange for my honest and unbiased opinion) for twoish months and it is by far my favorite treadmill so far. 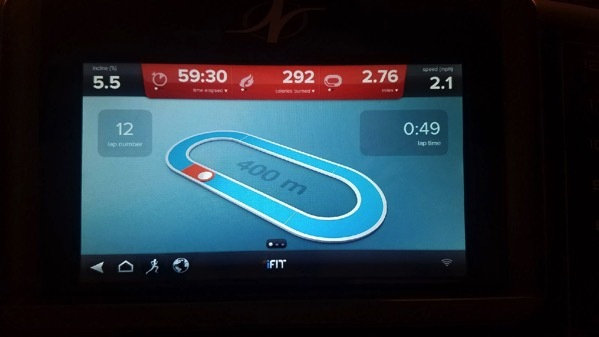 I think the best part of this treadmill has been the 22-inch HD touchscreen so far;) When this baby comes and I am running again it is going to save my training. I will be able to get in a lot of my miles when she (I almost just typed her name out ahhh… ps no one has guessed her name yet, keep guessing) is napping. After pregnancy I’ll be able to fill you more in on how it does with speed/different types of workouts!! My favorites parts so far of this treadmill are the awesome speakers, the touchscreen (and large buttons to change speed/incline), the incline (40% incline and 6% decline), the Reflex Cushioning on the entire deck of the treadmill (it is saving my joints/pregnant body), the fans and the fact that the motor/treadmill is SO quiet (it doesn’t wake up the kids… wahoo)! We are bonding together quite nicely. *I know that treadmill running builds mental strength. Running on a treadmill helps to make me mentally strong which I believe can be a secret weapon come race day:) Running on the treadmill is tough and pushing through that makes me mentally stronger. It also makes me appreciate those outdoor (and especially trail) runs even more. Think about how it is building your mental strength and that should help you jump on! *I play around with the settings like you wouldn’t believe. Hmmmm, the next two minutes I will bump it to a 3% incline and then back to the 1% incline and then I will go .4 miles per hour faster for 2.5 minutes etc. etc. etc. Pushing the buttons and switching up my speed and ‘hills’ makes it quite entertaining. *People watch if you are on the treadmill at the gym. You have to admit, it is very entertaining to do this at the gym. 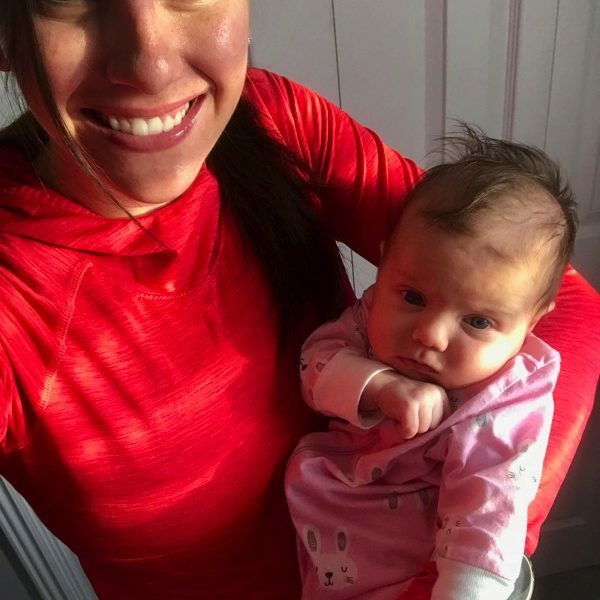 *When I am doing an easy/recovery run (or all of my runs during pregnancy) and my pace is slower for me, I am able to read on my iPad and I love that. It is so nice to be able to catch up on some books and it takes my mind off of the fact that I am running in place for an extended amount of time. *Music. Make a special playlist that you only listen to when on the treadmill. Save it for your treadmill days and it will pump you up. *I think about my running goals. For me, using the treadmill is part of the way that I am able to continue to run so that I CAN get those goals I have running around in my brain. *Many times, the treadmill has been my only option. Sometimes there is just way too much ice and because I fall walking on dry ground quite often.. It is just a good idea for me to take it inside when there is ice, especially with the next 8.2 weeks of pregnant running. Running on a treadmill > (much greater than) not running at all. So, whenever I do find myself complaining about being indoors, I remind myself that running on the treadmill is a million times better than having to skip a run. *People may disagree with me but I think that the treadmill TEACHES you how to pace yourself. I love doing speed on a treadmill because it teaches my body what it feels like to stick at a certain pace. You can’t slow down unless you actually press the buttons to do so and I am much too stubborn to push the down button when I have .25 miles left in my mile repeats etc. *I just think. I don’t know if it is because all of the other hours of the day feel crazy busy, BUT it is so nice to just have some time on the treadmill to think. I can get lost in my thoughts and not have to worry about a route, cars, where I can get some water etc. *If the treadmill is really hard for you and yet you find that you have to do a run on one every now and then… remember: You’re allowed to cry, your allowed to scream but do not give up. 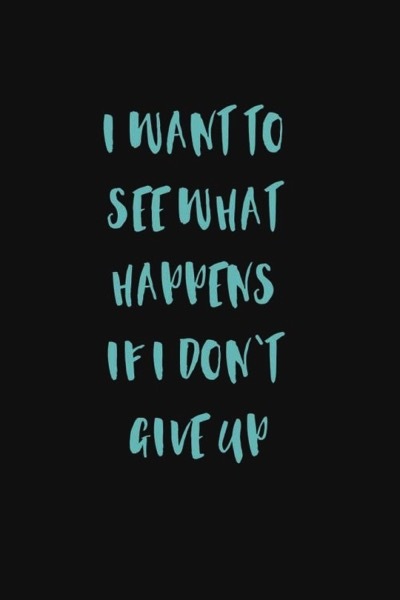 See what happens if you don’t give up. Prove it to yourself that you can do hard things. *Take your time on the treadmill to focus on your form or your stride rate. You don’t have to worry about curbs, cars, dogs or those dang sidewalk cracks that make me trip when you are running on the treadmill so you can really focus on your form while on one. *Have everything you need right there. Your water, your gels, your lip stuff, music, your skittles.. whatever you need, have it there so you don’t have to get off (because stopping and starting again is really hard). I love the fan on my treadmill on the main console but I also stick a fan behind me to help me stay cool. *Rotate in some strength. If 2-3 miles is your max on the treadmill and you want to get in a longer run, try rotating in some strength. IE run 2 miles and then jump off and do some sets of push-ups/squats/lunges/planks and then repeat that 3-4 times! Find ways to break up your run if that will help you build up your treadmill endurance. *INTERVALS ARE KEY!!! They keep things so much more interesting and they will make you faster too. I have a HUGE list of awesome intervals for you to try IN THIS POST! Here are more workouts too and unstructured speed workouts to try too! *Save your favorite shows for your treadmill days. I LOVE This is Us and I would love to watch it at night when it is actually on but I decide that I’d rather have it during a treadmill run so I save it for the morning. *Practice makes perfect (ehhh progress… I like ‘practice makes progress’ better;) Just like running or anything else that is hard it takes time to adjust. It takes time to learn the ropes, to build endurance or to get stronger. Expect that with treadmill running too! Be kind to yourself and allow yourself time to adjust to treadmill running if that is what you need to do! 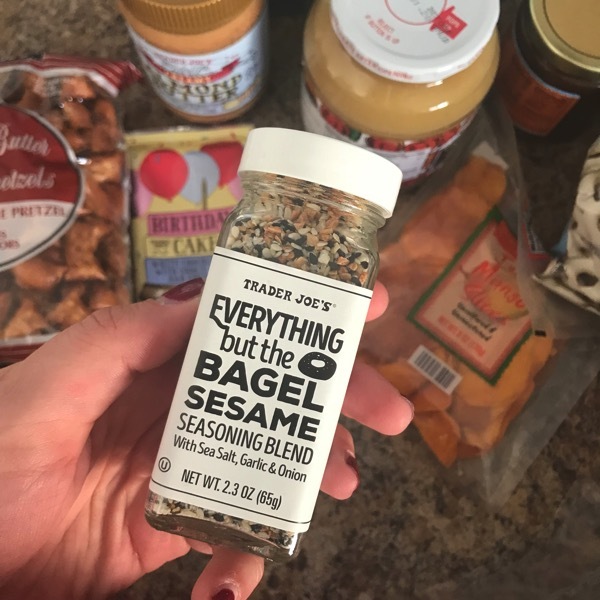 I got the everything but the bagel seasoning (thanks for the recommendations)… but I need to know what to put it on? What sort of stuff does this taste amazing with? Working peeps—> do you bring your lunch to work or grab something each day? If you do bring one… do you pack it each night? How often do you use a treadmill? Which season of the year do you use it the most? Have any tips? Last animal you saw while out on a run or walk? I love that seasoning on avocado toast!! 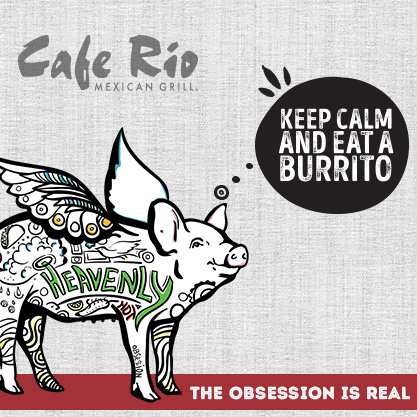 Well, that sounds delicious… will do! Thanks so much Laura! I almost always read or watch TV while I run on the treadmill and it helps me beat the boredom! I teach 8th grade and I always pack a lunch! (How else am I going to snack all day?!) I pack lunches in the morning! In my 3ish years of serious running, I’ve done treadmill runs maybe 3-4 times. I just am not a fan, and I always seem to end up with something hurting after I’ve been on it b/c I’m not used to it. So, out in the snow and rain, I go :) I can pretty much sub all of your treadmill tips/hints in for the elliptical and spin bike though, too! You’re so right–INTERVALS are the key!!!!! I’m a teacher, and packing my lunch is one of the worst parts about going back to school in the fall. ha ha I pack every day. I eat breakfast, have a snack at 9:00, eat lunch at 10:45 (SO EARLY! ), snack again at 2:00, and then eat dinner in the evening. My cafeteria makes/sells THE MOST AMAZING cookies with icing and sprinkles on them though!!! Oh man! I’ve only indulged in one so far, but two years ago when I was marathon training, they were at least a once a week treat!!!!!! WAFFLES… that sounds perfect for me! And that picture had me drooling… thanks Laura and I hope you have a wonderful Tuesday! I always bring my lunch to work — I pack it each night, since it’s usually a giant salad or leftovers, and bring it along with plenty of snacks. I used to use the treadmill at my work all the time during marathon training — not so much any more. While on a hike in the mountains, hubby and I saw the cutest little lizard — does that count? It would be easier to say what that seasoning DOESN’T taste good on! lol It goes with eggs, avocado toast, sauteed or roasted veggies, meat, fish, etc. I pretty much just sprinkle it on every single savory thing I eat! I prep a bunch of food for the week on Sundays and every morning pack up one of those meals to take to work for lunch. The treadmill is so useful for working folks who don’t want to run in the dark and are not able to exercise during any hours that it isn’t (especially at this time of year, it is dark before I leave for work and again when I get home). I just listen to Hamilton on repeat! I see mostly dogs and cats on my runs but recently saw a raccoon! That all sounds delicious Lisa, thanks for letting me know! I totally agree, thank you treadmill for letting me run during the dark hours! I hope you have a great day at work and enjoy Hamilton on your next run! I put Everything But the Bagel on avocado toast and also on roasted sweet potatoes. I usually bring my lunch to work. It’s saving me a ton of money, it’s healthier and if I run during my lunch break I don’t have to also figure out where to get food from. I generally bring leftovers from dinner so it’s all packed and ready to go in the morning. I don’t love the treadmill but it definitely has it’s place during the winter. When I use the treadmill at work I like to either run for a mile, then do some strength exercises or I change the speed/incline constantly. My runs tend to be faster since I’m anxious to get it over with. I listen to podcasts to distract myself. I saw some deer while I was walking my dogs this weekend. On sweet potatoes… YES please. Brilliant, thank you Carol! Oh that is great that you bring dinner leftovers and it really does save so much money! Interesting that your treadmill runs are faster usually.. teach me to do that too;) Have an amazing day at work today Carol! I am so excited, a TJs just opened somewhat near me and I am going there this weekend and stocking up – I saw somewhere to try the everything seasoning on homemade mac & cheese or alfredo. Sounded good to me! I live close to work and it’s really hard for me to stop working if I eat at work, so most of the time, I go home over lunch. It also means I spend less money on going out to eat, although I do still do that sometimes too. If I do bring a lunch with me, I pack it in the morning but usually always know what I am bringing so it doesn’t take long. Ugh I wish I shared your love for the treadmill…maybe if I had my own! I will say, I do enjoy doing speed work on them. It’s convenient and definitely keeps me motivated and on track to not slow down for my intervals! Oh that all sounds amazing. Thank you Bridgette, I can’t wait to try it! I hope your Tuesday is a great one! Everything bagel grilled cheese! 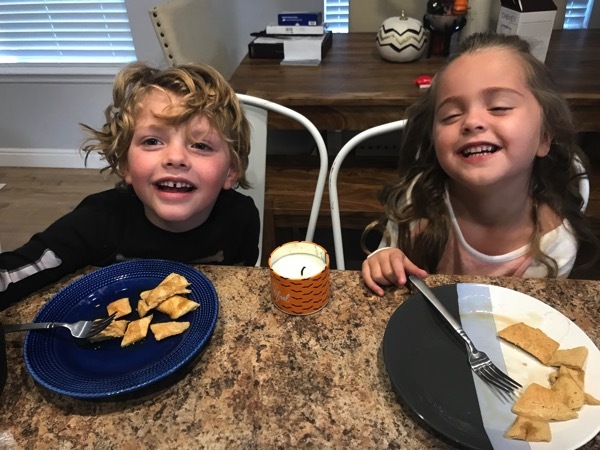 You will love this, I bet, as you love your grilled cheese and tomato soup :) We have been eating these all the time here! Oh. MY. Goodness. I feel like this has my name written all over it. Yep, I will be making this. THANK YOU KATE!!! Hooray! I hope that you and your family love the Everything Grilled Cheese as much as my family does. Apple sauce!!! Ah… I am laughing because when I was about your stage in pregnancy, I was at everything apple. Apple sauce, apple juice, apple ice cream, apple sno cone… I was obsessed. Put the bagel seasoning stuff on avocado toast. I’m not alone hahah! Good to know that I’m not the only pregnant woman OBSESSED with apples at this point in pregnancy. Now I need to find some of that apple ice cream asap! Two lunches is the perfect solution… start tomorrow by packing too:) I hope your day at work is a great one Emily! i get lunch at work but we pack our daughter’s lunch each morning typically. sometimes there will be stockpiles of ready-to-go meals in the fridge from cooking something either over the weekend or one of the previous nights. we went for a hike on Sunday and saw a very fluffy/hairy caterpillar. I am right there with you. I find the first few weeks of cold weather running to be the most miserable. You are going to come back so strong and of course have a healthy, beautiful, child too. With treadmill running, I always remind myself I’ll be happier afterwards. I swam for so long, I don’t really hate it. 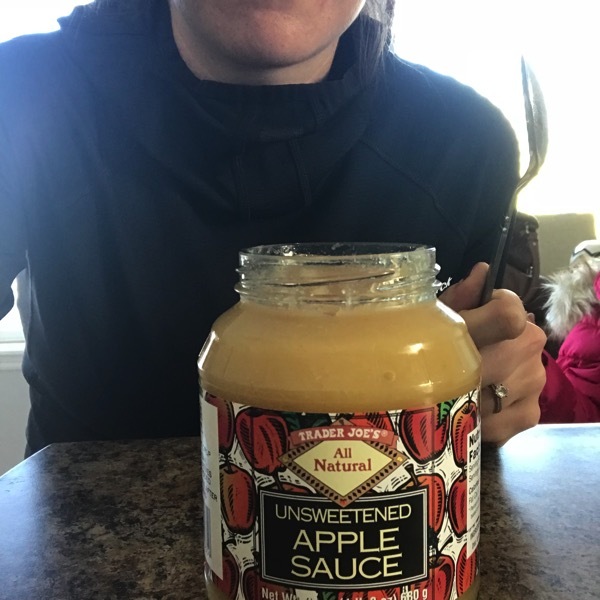 That seasoning looks amazing…Trader Joe’s is not very convenient to me, but I need to head over near there today to do some returns and find my kids some warmer layers to wear under soccer, XC, and lacrosse uniforms, so I am stopping in to try this FOR SURE!! Speaking of food…guess what I found at Target yesterday?!?! Frozen Rhodes Cinnamon Buns! I live in Boston, so I couldn’t believe my eyes. I wondered if it was from your famous Rhoses Rolls place & when I opened them this morning to make as a treat for my kids, I saw that they were, in fact, manufactured in SLC!!! I signed up for a May marathon yesterday & decided these will be my post-run indulgence after those hard winter long runs. Size doesn’t matter…we had a snake that size (my daughter couldn’t tell if it was a worm or a snake until it moved all squiggly/sideways) in our basement and I nearly died of fear. I love the treadmill for doing interval work in the winter when the tracks and roads are too snowy/icey to run fast. Last year I bought a Peleton bike for my husband when he was dealing with a running injury (it was an anniversary gift). It’s amazing. He recovered quickly & doesn’t use it as much, but I can’t get enough of it. It’s been great cross training. NOOOOO WAY!!! Oh that makes me so excited. They have the best stuff! I haven’t tried their cinnamon buns but now I am on a mission to find them asap! Which marathon did you sign up for!? I’m so excited for you! Okay, I have heard amazing things about the Peleton bike. I really want to try one, that is so great you guys have one! I put my everything but the bagel on eggs, and avocado toast. I am the worst at packing lunches, because I will get all excited about a lunch I am packing then when I get to work, I don’t want it anymore and go get something in the cafeteria. HAHAH YES… that was another problem of mine when I was teaching. I would change my mind! Thanks for the recommendations… trying the seasoning on eggs and avocado toast asap! Thanks Rachel! Brooke is SO cute, I can’t wait to see what your new baby girl looks like!! I know she will be just as adorable! I bring my lunch to work every day and I have been for almost 10 years now. I pack it at night so I can throw everything together in the morning. I bring my lunch to work most days. I try to pack it the night before so I don’t have to worry about it in the morning but sometimes I have to put it together in the morning. 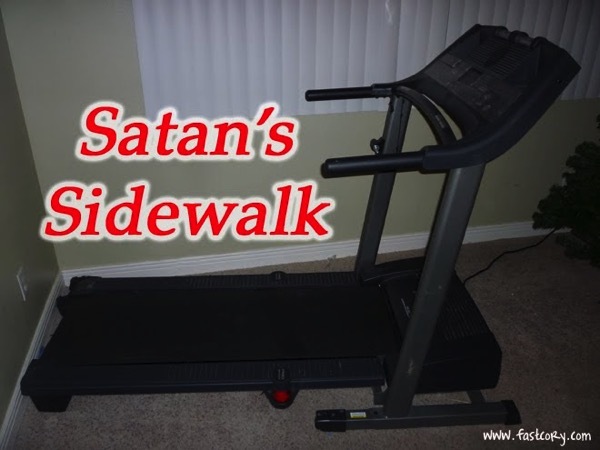 I love reading your treadmill tips! I use treadmill a lot in the winter. Sometimes I love it but other times I dread it. I wish I had one in the house but I am forced to go to the gym which I don’t like haha. The last animal I saw was a deer.! I run on the treadmill during icy road season. Bleh. My options for lunch: either I pack left overs the night before or I grab a frozen meal (TJs are awesome), apple, and yogurt in the morning. Occasionally I pack a real lunch in the morning. But this require motivation I am sadly lacking. Last animal: turkey vulture. If you don’t have them in your area, google it and be afraid. Side note- it flew three feet in front of me. Eep! Final note- Costco has the gigantic container of Starbucks Hot Chocolate back again. It requires milk but makes an amazing dark chocolate hot cocoa. “Everything” seasoning would be a no-go to me. Weird, but I developed a major aversion to the scent of garlic when I was pregnant with my first, and I’ve never been able to tolerate it since then. Sad, right? Most days I hit up the salad bar at work, though I dislike spending $6-$7 4x/week (work at home on Fridays). I load it up with lots of yummy grilled chicken, though. Never been a treadmill runner. Last animal I saw while out on a run or walk was probably a squirrel, but a black cat crossed my path while I was walking my dog on Sunday. We also have plenty of deer, and there was a serious abundance of bunnies over the summer–would typically see 6-10 during each outing. Hope the rest of your day is sunny and snake-free! I really despise the treadmill.. but I will definitely use your tips in the winter! I meal prep for the week usually so it is all packed already. If I don’t meal prep, I will make something the night before. I try to limit spending money on lunch unless its for Wegman’s or Chipotle haha! On my last run, I saw a fox and two chipmunks along with tons of squirrels. I LOVE dogs so whenever I see a dog I’m sure I go “awwww” and smile really big. It helps for that moment! Also — where is your neck/chin warmer from? I have an Under Armour head warmer that goes around my head and neck but I love what you have!! Janae, do you use iFit with your incline trainer? I’ve been using it for almost 3 years with my NordicTrack 1750, and I *love* the maps! They add variety and interest to my workouts and help satisfy my unrequited wanderlust. I’ve done virtual runs all over the world—last Friday in Paris, this morning on Waikiki Beach. Because of my schedule and family commitments, I do almost all of my running at 4:30 a.m. on the treadmill. I confess, I feel defensive when other runners rip on the “dreadmill”—like they’re saying I’m less of a runner because I run on the ‘mill. But if I didn’t have my treadmill, I couldn’t run at all. Period. I did see a couple of skunks last summer on a loop around the neighborhood. Picked up my easy run to a sprint! Chiming in on adding the Everything but the Bagel seasoning on avocado toast. 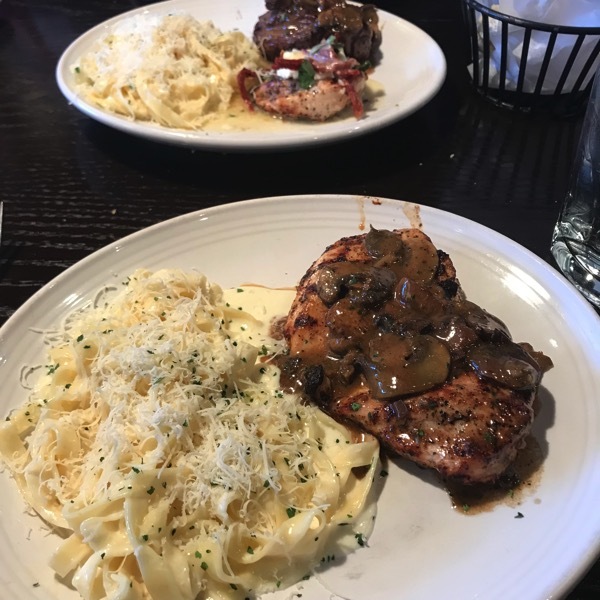 So much yum. Love your blog and thanks for the tips! I bring my lunch to work most days. Sometimes I make a huge salad on Sunday and portion it out M-Th, other times I just bring leftovers or make something quick that morning. 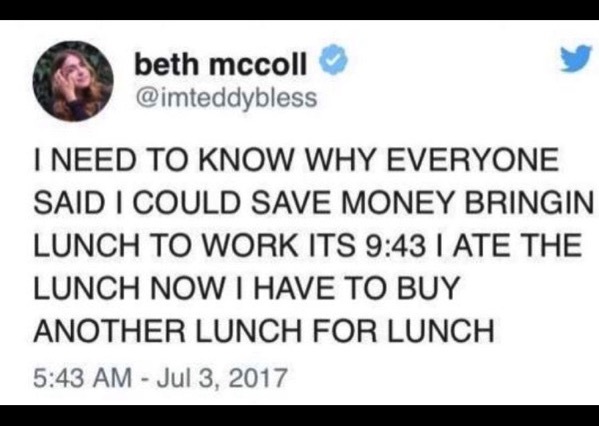 I treat myself on Fridays though and buy lunch! I always pack a lunch to take with me to work. I’d much rather spend eating out money on date night or with friends than during the work day. Plus packing a lunch saves a ton of money. My lunches are usually leftovers from the night before or I put something together in the morning. Snakes are the worst. I saw one at the park with my kids and sister and my sister had to rescue me from the playground because I wouldn’t come off until I knew for sure it was gone. Ew ew ew. I use that seasoning on avocado, vegetables, chicken, eggs, turkey burgers (because they can be bland), regular toast, potatoes (sweet or regular), rice – basically anything that is a little bland on it’s own. :) It would work well if you were making a savory oatmeal or waffles, too. Last animal I saw was a turtle, the park I run in has a lot of them. I used to bring my lunch almost every day when I worked. It tasted better, had quality ingredients, and was much cheaper. I use my treadmill when it’s very hot, icy, pouring rain, or when it’s dark and I don’t have a running partner. I don’t trust traffic nor, sadly, do I feel safe running alone at night – especially in the park. As a snack I put the seasoning on celery and cream cheese! I only do the treadmill if its pouring rain/lightening or for the treadmill class I take weekly. Living in Florida there aren’t many hills so the class helps me get in the hills I need. Last animal I saw was an armadillo–ran in front of me on my run this morning! Scared me to death! They are ugly creatures! Pack my lunch every day and get it ready when I get up before my run. I get up 30 mins. before I run to try to get in about 20 oz. of water and go “potty” ;) Have a great day and thanks for the info on the treadmill! I take lots of snacks to work. Sometimes I bring my lunch, but I love close enough to work to go home for lunch. The last animals I saw during a run were bunnies and a frog that my friend almost tripped over. 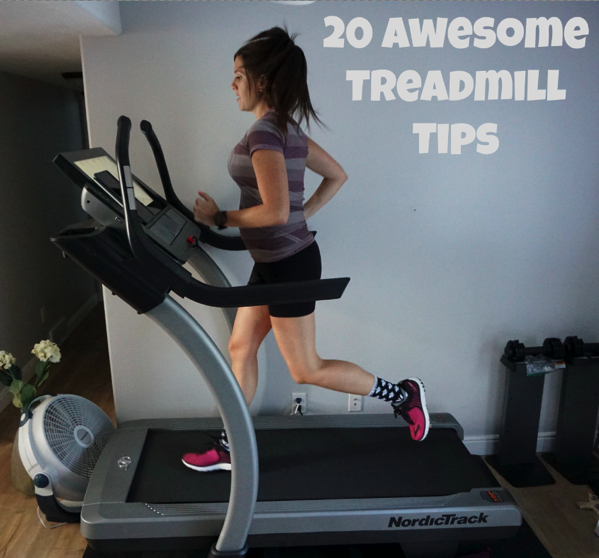 Your treadmill tips are the bomb! I use the treadmill most in the winter. Dark, freezing cold, icy morning. NO THANK YOU. I will run if it is only cold outside, but dark and icy is not my thing. I used to watch Lost on the treadmill and found it very motivating to run, since I was sure something tragic was going to happen at any single moment. Man, that show was addicting. The seasoning is great on avocado toast and cream cheese stuffed chicken. I saw a snake about that size last week (which seemed HUGE) and just about had a heart attack. I bring my lunch, and I really should get better about packing it the night before. My husband is still sleeping when I get up and I’m sure he doesn’t appreciate my banging around the fridge putting lunch together. Oops. Does this treadmill need oiled? Thanks! Great question… we don’t think so! I normally bring my lunch and a TON of snacks! I normally pack rice with black beans and veggies and some sort of protein :) & avocado for snacks I’ll bring fruit, oatmeal bars, yogurt anything that sounds yummy in the morning! Last animal I saw was a Deer, we live in Ashland OR so they are all over.. my husband was actually on a run last week and he saw a momma Bear and 3 cubs EEK! What sort of fan do you use in addition to your treadmill? I just got a treadmill and I’m having a hard time staying cool on it. Thanks!!! Thanks so much for the reply!! I love the consistency that a treadmill offers, plus all the fun ways to play around – from settings to tv shows to books! Your treadmill marathon is inspiring! I just got a bottle of the Everything seasoning, too! I got to use when I made this dip: https://www.budgetbytes.com/2014/02/everything-white-bean-dip/ – which was really easy and really delicious! And just today, I made chickpea salad for lunch and sprinkled it on top – really good. I don’t eat meat, but I imagine it would be similarly delicious on chicken salad! I pack my lunch, but I’m pregnant so I actually pack three lunches because I never know what I’m going to actually be in the mood for when lunchtime rolls around. BAHAHA Yep… I totally get what you are saying. You never know what you are going to feel like! I hope your pregnancy is going great and that you are feeling well! Keep me updated! I bring my lunch 99% of the time! I only have 35 min, so hardly any time to go and grab food. I’ve been using the treadmill more and more because my running partner is injured and can only do a few miles at a time so I start inside by myself and finish of with him. I saw a cat this morning, not very exciting ;) I’ve seen an opossum, a coyote, a vulture, but thankfully no snakes! Wondering what Brooke’s reaction to that snake was…it almost looks kind of cute, so tiny. Watching them move is what freaks me out the most. 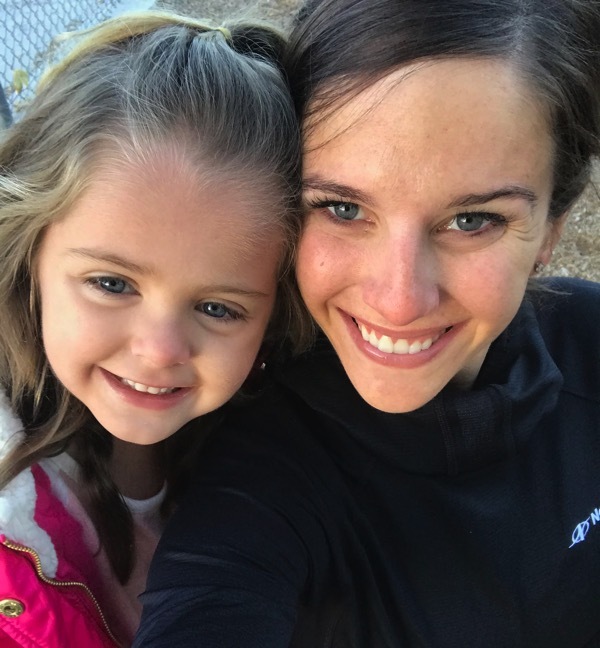 Loved the treadmill tips, I also ran a marathon on mine once when my kids were little and the mental discipline required to do that now makes my head spin. Random question but when you start on the treadmill and move outside do you change clothes since it’s cold out but too hot to run in those clothes inside? I’m staying at home with kids but when I worked I was a teacher too and packed lunch. We didn’t have to good cafeteria food. And I’m so glad I don’t have to pack lunches right now! I never liked doing it. But next year I will be packing my son’s lunch as he starts school. Not looking forward to that either. Is Brooke not at school full day? Or do you pack her lunch? Hey Mary!! Usually I do change from my shorts to some tights and throw a coat on:) Sometimes I just do the coat too! It is so nice to take a break from packing food right!?!? I hope you are having a beautiful day Mary! So I am training for my first marathon ever right now (PHX Rock n’ Roll woooo!) and many of my runs are on the treadmill. I do three midweek runs and one long run on the weekends (the long run is outside). However, my Wednesday runs are about to get longer and the mornings are getting darker, so I might have to rely on the treadmill even more. For example, Friday I’m planning on doing 12 miles in the morning, but does doing so many long runs on the treadmill hinder my training at all? Or should it make me faster? Thanks so much for the tips! BROOKE!!! I am so so excited for your first marathon! This is awesome! Personally, I did ALL of my training (except for one run) on the treadmill. All of it! All of my long runs, everything. The marathon you are doing isn’t super hilly so I think you should be totally fine to continue doing a lot of your long runs on the treadmill! Now if you were training to win or something like that, it would be pretty important to get a lot of your long runs outside too. But, I think the goal of the first marathon should be completion and you are doing an amazing job! Keep me updated! Sometimes I bring lunch and sometimes I buy something local. We have a cafeteria at work, but the food is so bad. If I was a 5th grade boy, I would probably dig it. I usually pack leftovers from the night before. Honestly, I have not been on a treadmill in over 2 years. I can’t imagine getting on one now. I run year round, outside, here in Maine. Sun, snow, ice, wind….there is a group of about 30 of us in my area that runs together about 3 times a week. You learn how to run on ice real quick. We joke how good it is for cadence. I ran my first ultra last Sunday. It ended at a farm and a calf had just been born. Super cute. All eyes and wobbly knees. Congrats Stephanie on your first ultra this last weekend… that is amazing! That is so awesome that you have such an awesome group of runners to train with, I love it! I hope you are recovering well from such an amazing race! I’m eating eggs with the everything but the bagel seasoning on it right now! I bring my lunch most days to work, but keep enough snacks at work that I don’t need to break into it. I also eat a very high protein breakfast, so a lot of days I don’t need a snack before lunch! Hi! I haven’t read all of the baby name comments so I’m sorry if this is a repeat name. 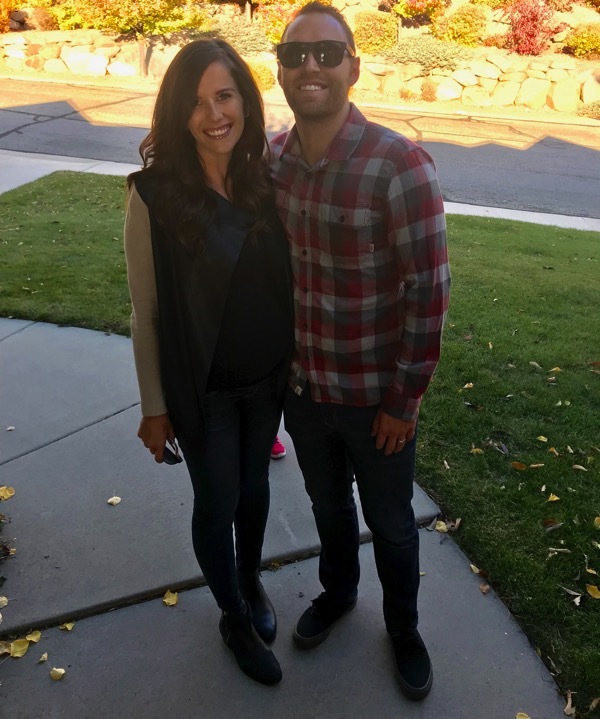 My guess is the baby will be named, Laurel…… long shot, I know! Tool my kiddos for a hike up the canyon and we had wild turkeys cross our path!!!! My son jumped so high! Haha definitely out of the norm I’m our world for wild life…. So I decided to share! I wish I was better at packing lunches for work… I’m excited to try your treadmill tricks it’s getting to dark and cold to run outside but I want to keep it up! Have a fabulous day! The seasoning is awesome sprinkled on hummus! I also use it like many others have commented, avo toast, fried eggs, bagel with cream cheese. You could sprinkle it on the braided bread you’ve made or on one of your favorites, soft pretzels. It’s incredible on veggies, especially quickly blanched green beans that are then sautéed in butter. You can also make a compound butter out of it. I actually prefer a treadmill. It makes me push harder. I am team take your lunch! Healthier and saves a ton of money! Hi Janae. I’ve just discovered your blog and looking forward to reading more of your posts. 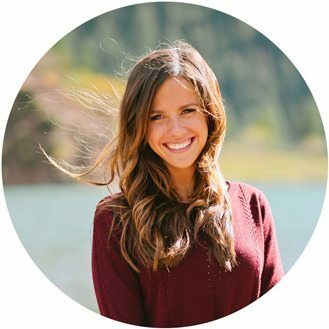 Thank you for sharing your life experiences and great running tips. with Winter on its way and runners moving indoors onto their treadmills they may be facing some of the challenges I faced back in January when I bought my first treadmill, boredom, and productivity. To overcome these issues and since there were virtually no products available I designed my own solutions. Then I took it one step further and started a company focusing on treadmill accessories to address specific issues. Now, as a small business, my challenge is reaching others who are looking to solve these same problems. Want to use your laptop on your treadmill and not have to spend thousands on a single purpose walking treadmill desk? Our attachable workstation provides the answer. Want to mount a large TV in front of your treadmill, creating an immersive experience and ending boredom? Our super tall TV stand is the solution. It’s tall enough to give a clear view of your TV from the deck of your treadmill. Ever worry about catching your foot on the edge of your treadmill and tripping because the black-on-black edge is hard to see? Our safety tape highlights the edge of the treadmill to help prevent tripping. Check us out at TreadExperience.com. 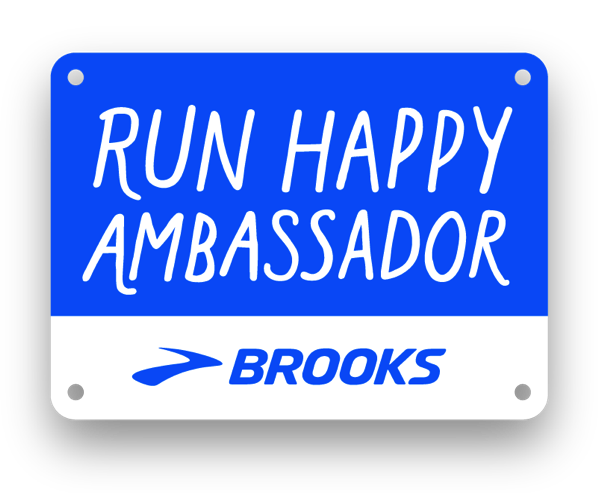 Register as hearing about us from hungry runner girl and we’ll send you a coupon code. Everything but the bagel seasoning goes well on seriously everything. I’ve used it as a spice rub for meats and fish. 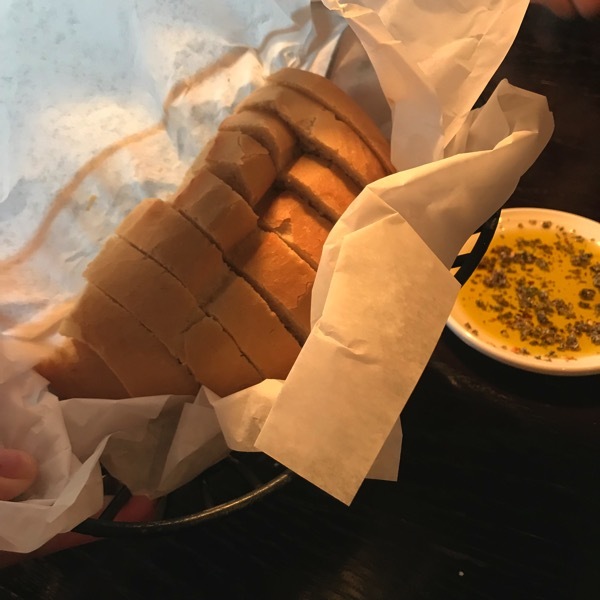 On bread with some butter/honey, etc. I say try it on everything until you find the best combo. I love the everything seasoning on Trader Joes butternut squash soup! I started a new job recently and have brought my lunch everyday. The location of my building doesn’t offer many fast food options — which is probably a good thing. As far as treadmills, it’s pretty much all I run on except on race days. I know I need to get outside more but before my job change, I was working two jobs and got home too late to get in any miles outside. Now that I start later during the week, I’m going to try and run outside at least once a week.